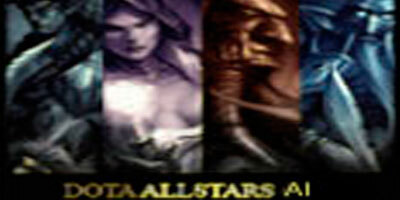 Hi guys ;D, this is the newest version DotA AI by Cloud_str… gooo! 1. Sorry, I’m busy lately (and will be more busy in the future, so please bear with all words “Sorry” from me smile.gif ) and this is what I can do in my free time. First and foremost, thank God. 2. Notice all the changelogs in this version. There are many improvements, right (good luck in reading them smile.gif )? Most ideas are my postponed plans (postponed, due to my business and laziness smile.gif ), and minority of them are adapted from other AIs. It’s all thanks to the new AI (by RGB/lazyfiend), which gives me a great motivation to do so. “Motivation”, means “I did NOT copy anything from his script,” although I AM able to. To all other AI makers, thank you for some ideas I might adapt and let’s do our best for the world of DotA. One thing I ensure you: I NEVER COPY anything from any other AI script, excluding the ONLY ONE I use as the base script (DotA Allstars v5.84c AI by Guinsoo/Padin Fain), of course. Adapt, I might do. 3. I did say that this AI is adapted from v5.84c AI, but it isn’t the one Karising made. The one I used was by Guinsoo (although I’ve noticed too many similarities to the AI of Mercenaries v2.17 by Padin Fain). To Guinsoo or Padin Fain, I’m sorry I haven’t given an exact credit to you, since I don’t know who made the v5.84c AI. Please contact me. 4. Because the changes is somewhat many, I really fear that there are some major/fatal bugs inside. In case of that, please tell me, that even if I cannot fix it as a separated map file, the integration can be perfect. Just to tell you, I think “1.95 BETA” is more suitable for this AI rather than “AI 1.94”. 5. I’ve read something as “bonus life/mana regen/movespeed”. Why no one read me, that I NEVER GIVE ANY OF THESE BONUS FROM THE START? Search my script (also IceFrog’s if you need to) and you’ll found nothing. Your imagination, perhaps, or they are applied by the WC3 engine, over which I have no control. And, as stated inside the ZIP, I won’t do anything to counter it, or else fatal/annoying bugs may occur. – Fixed the disconnect bug (now I did a beta-test, thanks to Zeheater and ShiroganeSoujyu/Nerine-chan, also for those who concern of this matter). However, I do this when it is still 1.93b. I hope there is no problem in 1.94. In case this doesn’t work, ask the server (Blue?) to use “-aidisablenew” to disable AI-messaging system (Yep, this is the one I proud of, yet this is the one causing the whole bug) once in the beginning. This cannot be undone later. Remember, doing this with no purpose is NOT recommended, since this will cut off all AI messages, including “Engaging ….” and -cre. 1. AI now knows “primary skills”, e.g. Storm Bolt for Sven and Leoric. These skills will be prioritized to learn. 2. Added new system to strategically spam heroes’ spells, especially in killmode. More spells are available for AI heroes, e.g. Shadow Words, Re-Arm, March of Machines, Haunt-Reality, Morph, Replication, etc. More combos are also available, e.g. Malefice-Black Hole, Anub’arak full combo, etc. 3. BroodMother’s SpinWeb will now mostly be casted strategically. 4. Vendetta, Gondar’s Backstab damage, Fiend’s Grip, and Rot are now completely fixed and is used 100% the same as how human CAN use them (not as smart, I mean). 5. KotL is back, with scripted Illuminate and new itemset. Ignis Fatuus will try to heal in fountain whenever possible and needed. 6. SandKing’s Epicenter doesn’t exit killmode anymore. 7. LoneDruid’s Bear now buys items and heals in fountain. Druid now doesn’t use the SpiritBear skill when a Bear already presents. 8. Killmode (Enganging …) is now available even in low level (very rare, though). 9. Better fleeing system, especially against towers. AI Heroes are now braver and more aggressive (with thinking of course smile.gif ). 10. AI stopped chasing if it’s impossible or if the target dies. This far you’ve known. But now AI will try to change target after stopping. 11. AI will try to stay away from casting spells when Mana Leaked, will try to use spells strategically in presence of Nether Wards, and will try to spam spells when Cursed Of The Silence. 12. AI reacts well (or so I think) against Rupture. 13. Added additional system to prevent Strygywyr’s Thirst spreading. 14. Butcher, as stated above, now can use Rot well. Additionally, he can now use Meat Hook somewhat well and is given specific itemset (thanks to the guide in dota-allstars that the AI will buy Aegis before learning Flesh Heap). 15. Priestess of the Moon uses Elune’s Arrow with the same precision as Meat Hook. Wrote script for Leap. 16. Techies stacks Remote Mines and use Suicide (when possible) in low level. Additionally, Suicide as final attack is re-scripted. 17. Witch Doctor has scripted ultimate. 18. Treant Protector uses Eyes in the Forest and Nature’s Guise. 19. Fixed ultimate scripts (ever feel that the ultimating script begins to weaken over versions? A bug is in it.). 20. Re-script Krobelus’ Exorcism nearly to its native WC3 codes. 21. AI with global skills will try to use that on critical allies. Currently, 3 are available: Hand of God, Moonlight Shadow, Global Silence. 22. Heroes’ with Boots of Travel and Furion will try to use spells to escape, change lane, or return after healing. Boots of Travel will also be used as subtitute for Scroll when possible. 23. AI now will focus-fire on tower whenever possible. 24. Added additional system to guide AI in lane-breaking. 25. Better ambushing and changing-lane patterns. 26. AI who stucks as the effect of miscalculated Blinking or any other instant-movement skills will now try to escape from the stuck. In case this function fails, tell me and you can still use -aiunstuck before the fix. 27. AI buys consumables (and use them, of course). Currently available consumables: Flask, Tango, Town Portal. Now, allow me to ask you: Do I need to give them Clarity Potions? If you say yes, I’ll add it in next version. 28. Non-SuperAI will now also buy Scroll of Town Portal when possible and is brought in inventory. Only SuperAI can store the scroll in Circle and do the “impossible item teleporting”. 29. And much more I forgot to wrote. Currently not-used skills: Primal Split, Druid’s Bear Form, Jahrakal’s Berserker Rage, Sandstorm, Watcher, and a few more. Currently not-perfect skills: Requiem. – New itemset for Magina, Sand King, Luna-Rylai, and PhantomLancer. Added the Mekans-Int, Maelstorm-Agi, Lothar-Agi, Blink-str (a variation is added for Earthshaker), Int-Battle (for Lina and Furion), Necro-Dagon (Nerub. Assassin and Pugna), and some more heroes’ itemset. Note that some itemsets are alternatives for some heroes; sometimes they will use their old itemset. – New gamemode: -mo (-midonly). In this mode, all AI storm to mid-lane only. Left-right towers are invulnerable, creeps are not spawned. – -mp use while Manual-Picking is slightly changed. Instead of ending the Manual-Pick, it will now immediately change Manual-Picking side (e.g. when you choose Sentinel heroes, typing -mp will switch you to Scourge-side’s Manual-Pick.) if available. Typing -mp again will end the MP. In case you want to immediately stop MP-ing, type -mpend. – AI now learn their first abilities in lv.3. In other words, they still have the skillpoint when -swaphero-ed, and won’t waste mana on spamming the weak lv.1 spells. However, a bad side-effects always pop-up: they cannot use passive skills either in low level. In next version, I may script on those. – Modified ambushing and changelane system a little. – Modified script to conform IceFrog’s script (90% done). Now you can play 100% normal DotA by using -at/-aitoggle as gamemode (the AI MapInfo will even disappear). – Added list of available commands zipped along with the map. – Fixed the bug on blue-only gamemode-inputting. – Fixed some bugs when -cauto is activated. – FIxed AI’s using Aegis in DM (replaced with Vanguard). – Fixed bugs in Defense (both team). – Fixed bug of MP in SP. – Fixed bug of VR. – Fixed bug of swaphero when human’s hero has already item(s). In other words, the swaphero should now be free of bug. – AI now completely works in Observer mode, especially when no human in a team. – AI may act strangely sometimes, when he is about to change lane or gangbang. – -cdef command still imperfect (sometimes a hero goes pushing when -cdef is already issued. Try -cai followed by -cdef). – Cause some strange AI movement patterns when iseedeadpeople is used (yep, cheat. About the use of any illegal programs which may also cause this to happen, I don’t know and don’t care). a. AI will be able to creep the neutrals (and the Holy Knight will be able to Persuade greater creeps). b. AI will have a LITTLE percentage to evade non-targeting/point-targeting spell, e.g. Epicenter, Light-strike Array, Scattershot, Meat-hook. Although the percentage is decent, they have delay-time, thus their efforts are not always successful. If you ask, yes, this one will be adapted from RGB AI. c. AI will be able to enter killmode against illusions. However, they have percentage not to spam spells (especially ultimates and combos) against illusions and also has moderate percentage to know which is the real. d. AI will not be able to know where are invisibles. However, they have percentage to “feel”, thus using a detecting skills (e.g. Broodmother’s SpinWeb or Ward). e. AI will buy and use Sentry Wards. f. Pandaren’s Primal Split script. g. More itemsets (esp. for Silencer) and skills available. -cfw (command follow me): all nearby AI in 3000 AoE may follow you anywhere. -catt ? 13 (attack Roshan). This actually has been scripted in 1.94, but causes fatal bug. -cad (command aid): nearby AI will try to aid you when possible. Where the hell can i get the map or so? Sup Cloud It’s me again, I know this is a late response about your AI’s I couldn’t find a place to tell you bout your AI’s, well now i have and I’ll tell you now. *You should make the AI’s play like -Sa without having to typ -Sa. They should play like you aswell example, they should tell you to defend,change lane and ambush instead of alwasy having to tell them. *Something that you are doing is affecting the Heroes skill exanmple, Heroes blinking skill, and naix avatar skill. *AI’s are getting their item to slow. *They should know when to use their skill not at level 3 tehn start using it. Many many times i would of got kelld if they had use there skill earlier. *They should also try to lead you into traps, they should ambush often not fight in 3 lanes mostly. Just wana say one more thing bout your ai command the change lane and ambush. Thats great but you should also add if possible,a command that tells them to back it up you know if there gona get ambush we can tell them to back, that would be great. AI’s are supose to train us so they should be more like us, not us always telling them what to do. Hi My Name Is ivavkw. Cool, attractive, and makes me leave my homework! hello Cloud Str, can u make AI on dota v6.50b or v6.51?? Cloud_str do you have a homepage? ?